Services - Seattle Professional art hanging, art moving and art consultant. Design placement of artwork in any size or media in a gallery, office, or private home. Fabricate and install custom hanging and securing methods for two and three-dimensional artworks in accordance with the latest earthquake preparedness technology. Maintain a corporate collection, which can include art rotation, inventory, conservation, shipping, framing, storage and photography. Safely load and transport fragile artworks in a large vehicle. Install complex multimedia installations or large-scale artworks using hydraulic equipment. Pack, unpack and create condition reports for traveling artworks. 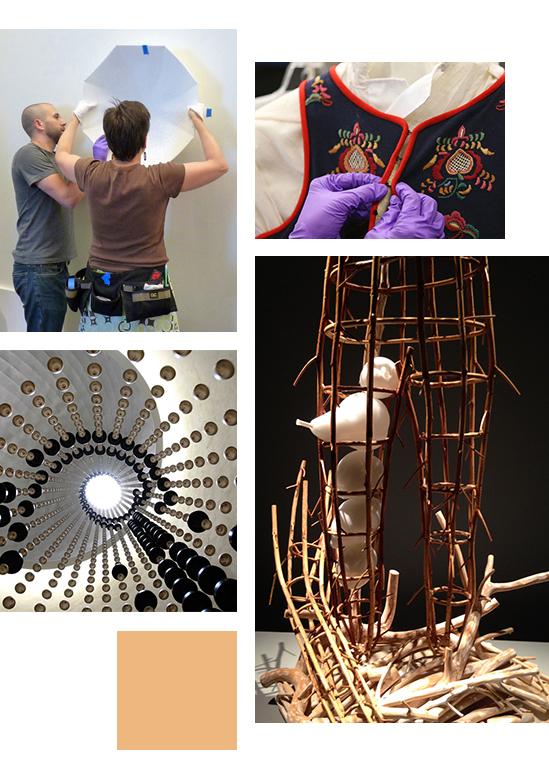 Manage a crew of several art installers to move numerous artworks within a restricted time frame. Available to discuss all your exhibition and installation requirements.